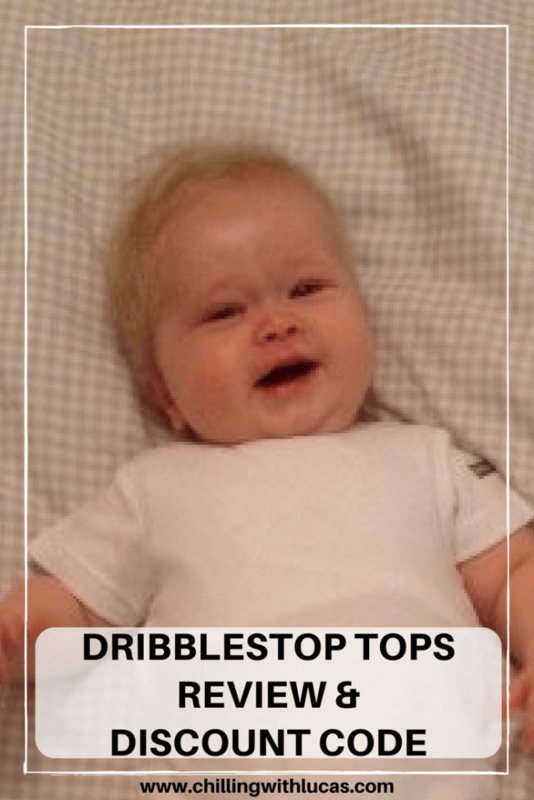 Lucas has been given 2 Dibblestop tops to try out by the lovely ladies over at 2Mums. This review is my honest opinion. A pack of 2 Dribblestop tops retail at £13.99. They come in either a stripy pink with plain white, stripy blue with plain white or 2 plain white. All of Lucas’ vests have been from the basics range in shops as I have never seen the point of spending more than needed for it to be hidden under his t shirt. My initial thought about the price of these was that they were too expensive, however when I took them out of the packet I soon changed my mind. This time last year a new pair of boots turned me into a giddy little girl, how times have changed when a Dribblestop top now gets the same reaction! I absolutely love them, they feel so soft and are such great quality. The fit is amazing, I love that they fit at the top of Lucas’ legs in a short way rather than a knicker style (not my greatest description), fully covering his nappy. 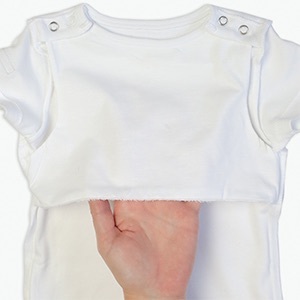 The top has a high neckline and both shoulders have poppers, making it not only easier to put on and take off but it also keeps the shape really well. The Dribblestop top protects the chest from becoming damp with its hidden pocket made from a specialised waterproof material which also feels soft against the skin and is breathable. 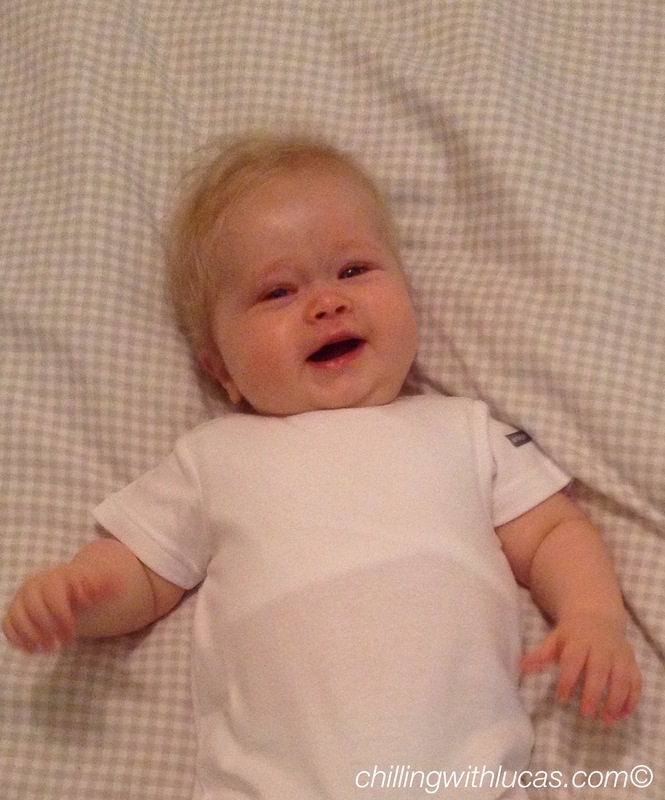 As the pocket is integrated, the top is safe to sleep in so baby’s can stay dry whilst napping and don’t need to be disturbed by taking a bib off.